Though you probably do not see many commercials featuring hatchbacks, which were phased out by crossovers, these cars are still among the best sellers around the globe. There is really no question why, since they offer affordable performance, additional boot space and compact size to fit in the smallest parking spot on the busy city streets. 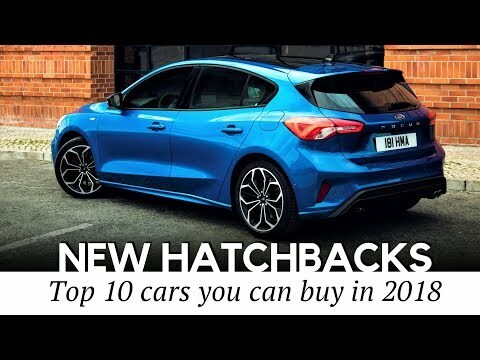 Today we would like to review the upcoming hatchbacks of the 2019 model year that could be characterized with more aggressive designs, unmatched fuel efficiency, as well as the latest safety and driver assistance features. The recently redesigned Mercedes Benz A-Class is indeed all-new, with remodeled body, updated mechanical side and the latest technology available on the market. The fourth generation of Focus has grown in size, however it is now around 194 lbs lighter, due to the all-new platform. It comes in 4 trims: Standard, off-road ready Active, luxury Vignale and the sporty ST line. 2019 Toyota Corolla Hatchback is the first model in the 12th generation of the legendary vehicle. It has a new engine, two transmission options, and a redesigned look and rides on a new platform. The previous generation of Veloster was a weird looking affordable hatchback, and even though practical with sporty looks, never was considered hot. But it seems that the 2019 model is here to flip the perception upside down. The third generation of Swift Sport is lighter, faster and more dynamic than its predecessors. The exterior design is more aggressive and the vital specifications suggest that it has got a claim to rival Ford Fiesta ST, VW UP! GTI and the likes. Though, the latest Fiesta design update looks more like a dose of Botox, to make it look younger and fresher, it might be just enough for model’s fans. 2019 Honda Fit is an affordable hatchback with modular interior design and a host of great standard features. 2019 Chevrolet Cruze hatchback is reliving a mid-cycle refresh featuring exterior updates, new infotainment system, and addition of a more affordable LS trim to the line-up. Mini Cooper continues into it’s the new model year virtually unchanged. Minor updates include finishing touches on the bumper, LED taillights in the shape of the Union Jack, and a bigger screen infotainment system. Mazda 3 has not been released yet. All we’ve got so far is a hint in the form of a KAI concept.